Is your boy into sports? Basketball maybe? 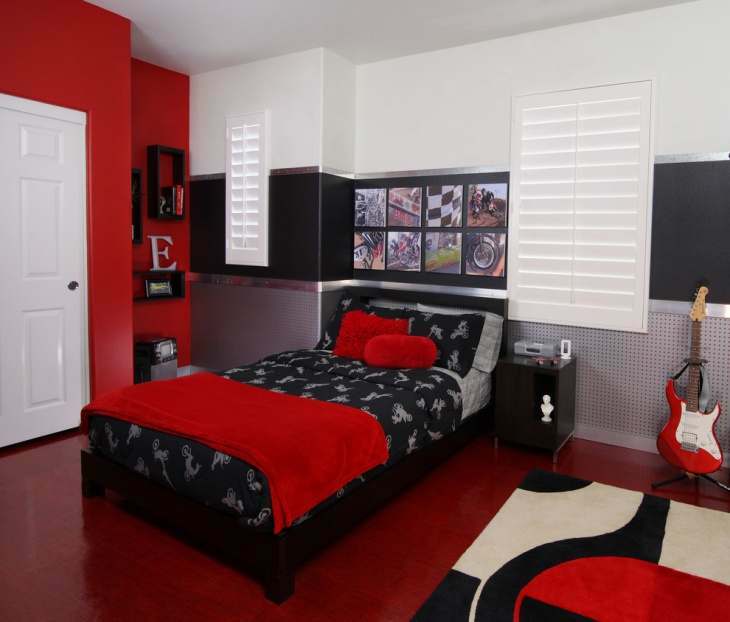 If so, this is the bedroom design that you should copy. That framed Michael Jordan shirt and the basketball basket in the corner should be a sure fire hit for your teenage boy. Do not forget to add a sofa by the widow to give him some space for reading or relaxation.